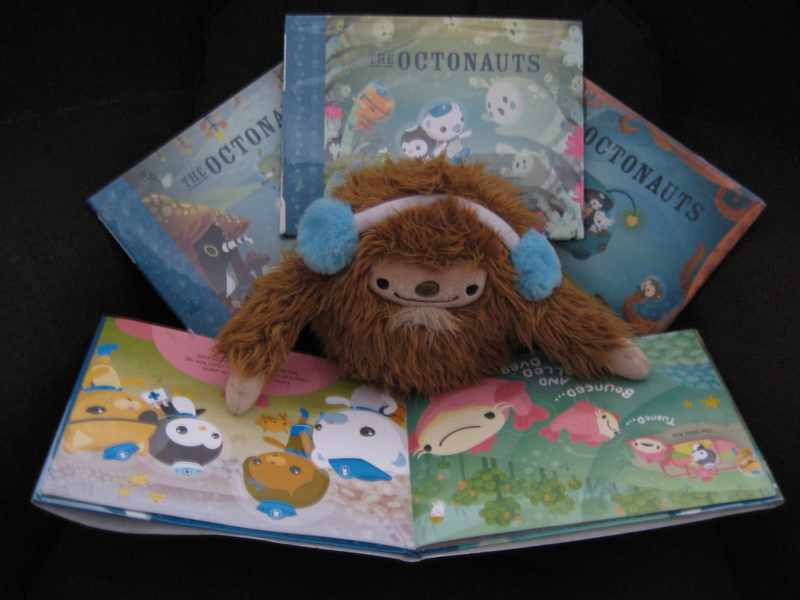 Fans of the mascots’ graphic design and/or anyone who enjoys imaginative, fun stories should check out The Octonauts. They’re another batch of cool critters from Meomi, the creative team that cooked up Quatchi and the gang. The Octonauts — no relation to Octomom — consist of eight (duh) undersea explorers (including a dog, a bear, and a penguin) who operate out of their home base, the Octopod. So far they’ve starred in four beautifully illustrated storybooks, having adventures with The Only Lonely Monster (2006), The Sea of Shade (2007), The Frown Fish (2008), and The Great Ghost Reef (2009). An animated series is currently in development. Meomi is Vicki Wong (of Vancouver), and Michael Murphy (formerly of Michigan, now living in Los Angeles). For more Meomi, visit their Facebook and flickr pages, and read this interview.